Google Slides is a presentation tool that forms part of the Google Drive suite of online office applications (http://go.shu.ac.uk/google or http://drive.google.com). It offers many of the most used features of Microsoft Powerpoint or Apple Keynote, such as slide templates, presentation themes, and embedding images and video. As with other apps in the suite, its main advantage is that you can collaborate with other people on a presentation. A presentation can be shared with others, who can then all edit slides at the same time with any changes appearing on everyone’s screen as they are made. Collaborators can add notes and comments to the slides to justify changes, make suggestions, etc. 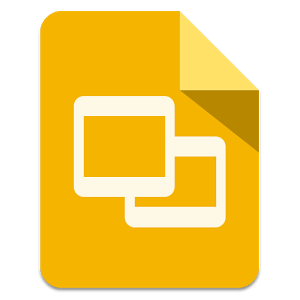 Google Slides is a useful tool for students to develop group presentations as they can all work on the slides without needing to physically convene or email copies of the slides around the group. Presentations created in other tools, such as PowerPoint, can be uploaded into Google Slides and presentations can also be downloaded in multiple formats, including PowerPoint and PDF. While working on a presentation, any changes are recorded (including when they were made and by whom) and different versions can be compared to quickly see the changes, making it a useful way to check the contributions of individual students. You can see tutorial videos for using Google Drive and Google Slides on Lynda.com, an on-line training site that has recently made available to all staff and students at SHU. To access the site go to http://go.shu.ac.uk/lynda and entering your standard SHU login details and search for Google Drive. September 17, 2014 in Article. Tags: Collaboration, General, Resources, System, Technology, What_is_a? ← What is an eBook?